The Indian railway has to formulate a special scheme to add new trains in most routes to cater for the extra summer rush. With schools and colleges closing for summer vacation, most families plan up their holiday trips during these summer months. It places extra load on the Indian Railways, to overcome this problem Indian railway announces special trains for every summer. Whether its tourists or business people official trip, the preference would be rail journey for travel. Below listed table illustrate some Interesting facts of Indian Railways. 1 Salary of Loco-pilots The monthly salary of normal loco-pilots of Indian trains is more than the average monthly salary of a software engineer. 2 No Loco – Pilot Abandoned Trains There has been no registered data about loco-pilot leaving the train even they face death because of train accident. 4 Toilets in Train Having toilets in passengers trains came in practice after Indian railway completed its 50 years. Thanks to Okhil Chandra who narrated a complaint letter to have toilets in train. 5 Before Automatic Point System In old days, where points are meant to be fixed in manual lot of guards lost their hands and limbs while changing those points at railways stations. 6 Total Number to Trains handled by Indian Railway per day Indian Railway is a massive successful organization runs about 11,000 trains per day in India. The largest rail network in Asia, Indian railway takes pride in connecting even the remotest of places in the country. Last year, to cater for this additional summer month load of travelers, the Indian Railway had introduced a Premium Train Service. The scheme had however faced criticism like the fare being unduly high. The fare had been fixed with a very complicated mathematical logic based on number of days prior to date of journey that the booking was being carried as also the number of seats available in that class on that day. It was seen that in many case the fare for 3rd AC exceeded the fare for 2nd AC for that particular day. Ticket booking for the Premium service last year allowed only online booking facility. Given a yet high percentage of India not having computer or internet facility, the service had been criticized to be rural biased. 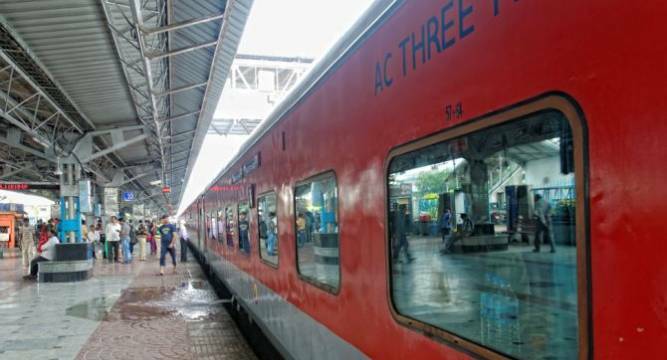 To remove these anomalies and add some further passenger centric features, the Indian Railways have launched a new scheme for this year’s summer rush, the Suvidha trains. The first run would be between Gorakhpur and Anand Vihar, and starts off on 13 July. The Suvidha train service would end on 30 July 2016. Below listed table describes some facts about Suvidha Trains. 1 Suvidha Trains Suvidha Train, operated during festival or peak rush season in order to cater premium passengers who fix traveling on a short time period. 2 Announcement of Suvidha Train Suvidha trains are introduced as replacement of premium trains which are operated during last summer. And as per the statement released by railway officials suvidha trains will be in function from July13th to July30th in-between Gorakhpur to Anand Vihar. 3 Ticket Fares Minimum fare on Suvidha trains would be tatkal fare and it will get increases by 3 times the base tatkal fare after Suvidha train tickets filled by 20% of its entire tickets. 4 Booking of Suvidha Trains By overcoming the problems of Premium Trains, new Suvidha trains are introduced. Where booking will be done Maximum of 30 days and Minimum of 10 days. Only confirmed and RAC tickets will be issued. 5 Types of Suvidha train which Indian Railway Operates Suvidha trains comes with 3 modes – Full A/C Coaches without Stops, Mixed coaches with NON-A/C and A/C without Stops and Mixed coaches with NON-A/C and A/C with Stops. The ticket fare for suvidha train with full A/c Coaches runs without any stops will be Rajdhani Express fare including tatkal fee. For Trains with mixed NON-A/C and A/C coaches which run without any stops will be charged with Duronto Trains base fare including Tatkal Fee. And Suvidha Train with mixed Coaches running with stops will be charged as Ordinary mail fare including tatkal fee. As mentioned before, one of the main aims of this new service was to obviate the anomalies that existed in the previous years, Premium train service. Booking is allowed 30 days in advance for Suvidha trains and ends 10 days prior to the date of Journey. This has been announced by the Indian Railway administrative machinery. No wait list tickets would be issued. Soon as confirmed tickets and RAC tickets have been sold, bookings for that train of the particular day would be stopped. Passengers need to carry some form of photo identity proof for each member at the time of journey. This is compulsory and would be verified on board the train during the course of the journey. There would be three types of Suvidha trains. One being fully AC, and run with minimal stops like the Rajdhani. The next type of Suvidha would be like the Duronto service. The express or mail type of Suvidha train service is the third of the type. All Suvidha trains have been projected to run strictly by time and have onboard services equal to that on board the premium trains of the country. Charges for booking ticket on Suvidha trains have also been made simpler than last year Premium service trains. The minimum fare for Suvidha trains has been plugged at the Tatkal fare for that particular class. There would be an increase in the booking charges with every 20 percent seats or berths being booked. The maximum fare however would not be more than three times the tatkal fare. In case of, any ticket remaining unsold on the date of the journey that would be sold across the counter at the highest ticket rate that has been sold for that train for that day and class. There won’t be any concessional for women and children who travel in Suvidha trains all should pay full amount. Time allowed for cancellation is six hours prior to time of journey or before the reservation chart has been prepared, whichever occurs earlier. In this window period, the passenger would be returned half the fare. In case of online booking the refund would be affected by e-transfer direct to the bank or credit card, whichever the passenger had carried out the booking from.